Garden container color selection contributes powerfully toward establishing a garden mood. Container color selections give you the opportunity to be very selective in your color choices, for both plants and containers. flexibility that you just don't get through garden plants by themselves! 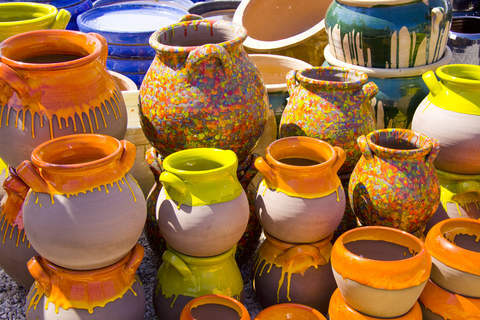 Evaluate the color choices you make for your garden pots against the plantings you intend to add. Marrying plant colors and the color of your garden container adds subtle (or not so subtle!) style to your garden. Select garden containers to reinforce the look you want. Rich, deeper colors, such as maroons, deep blues, dense greens, sultry oranges, glossy blacks or dark purples promote a sense of wealth and opulence. Hot colors help to create an exciting, dramatic mood in the garden. Repeat them throughout a garden and add automatic drama. Cooler colors encourage a sophisticated, calming feeling. Use them to create a quiet, spiritual mood. An abundance of widely varied colors can aid in forming a sense of exuberance and prosperity. 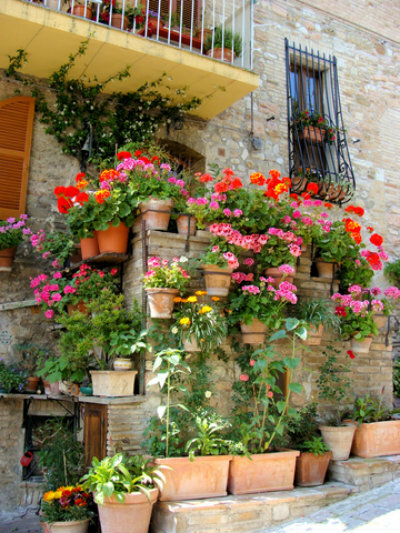 Some colors are highly associated with world locations, choose your garden container to fake a trip to exotic places. French Country Comfort - Deep cobalt and cornflower blues and pomegranate reds are iconic French Countryside colors. Add white to contrast and enjoy the flavor. Tuscan Tranquility - Red Ochre, Terra Cotta, Tuscan Gold and Burnt Umber combined with touches of vibrant greens, reds, pinks and blues are a recipe for an Italian paradise. Tropical Luxury - Enameled sky blue pots, combined with vibrant reds and oranges, all staged on a backdrop of deep greens and dark purples convey the sultry heat of a paradise found. Island Legends - Pastel oranges, sky blues, energetic salmons, and butter yellows combine to reinforce an island feel. Move your garden to the Bahamas overnight! Applying the principles of design to your garden container color choices will empower dramatic change in your landscape. Select container colors that complement the surroundings; your home, the landscape plantings, stone, or fabrics you've already chosen. Treat your landscape like you would your home, using container color to accent your space. 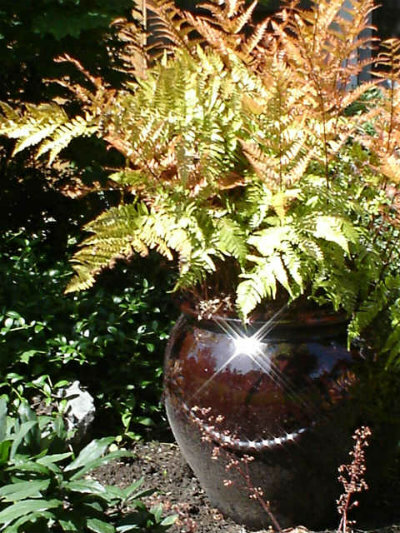 Utilize garden container color to reinforce dramatic scenes or unify a space. A single bold container creates a smashing focal point! Unify the color palette. 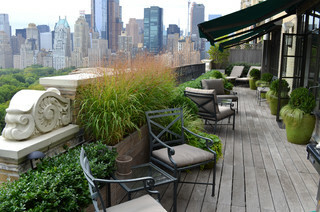 A repeated garden container color throughout the garden space will create a fully designed, orchestrated mood. Create interest with high contrast color. Choosing garden containers in complementary or split complementary colors adds excitement to your design. 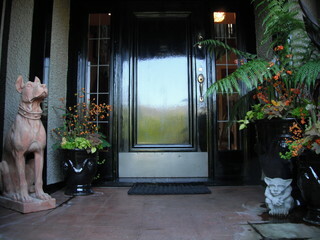 Dramatic effects can be created by using a little restraint in your garden container choices. Repeat a single color throughout the garden. The ultimate in high style, make the most of your garden container choices with a monochromatic color scheme. Repetition of this single color choice throughout a garden space makes for a stirring experience! Repeat two color choices throughout the garden. Sophistication personified, this treatment creates a sense of a fully artistic, perfectly executed design. Limit garden container choices to create a multi-color theme. Repeating a series of colors reinforces an overall color scheme within the garden. Choosing containers that reinforce a theme is a technique often used to evoke musings of exotic places. Many options are available, and it is hard to go wrong if you take into account basic design principles during the selection process. The benefit of evaluating and using color when choosing garden containers is obvious, isn't it! Get excited about taking a chance with garden container color when you design your next garden bed!